I hope it's not a big tattoo too, like a whole sleeve or one that covers his whole back. I just prefer little tats. What's with all these cryptic video messages? Is this his way of saying he's still superman? or WB/his team have come o some agreement?. Is he getting a tattoo? or already started the process. I can't with all these telling/not telling messages. La paz interior nos renueva, nos alimenta el alma y nos guia a ser mejores seres humanos. Gracias por compartir momentos tan tuyos. I love you, besos. Inner peace renews us, nourishes our soul and guides us to be better human beings. Thanks for sharing your moments. I love you, kisses. Is he going to mess with perfection? It sure sounds like a tat to me. Hopefully its a small one. He will always be Superman to me. 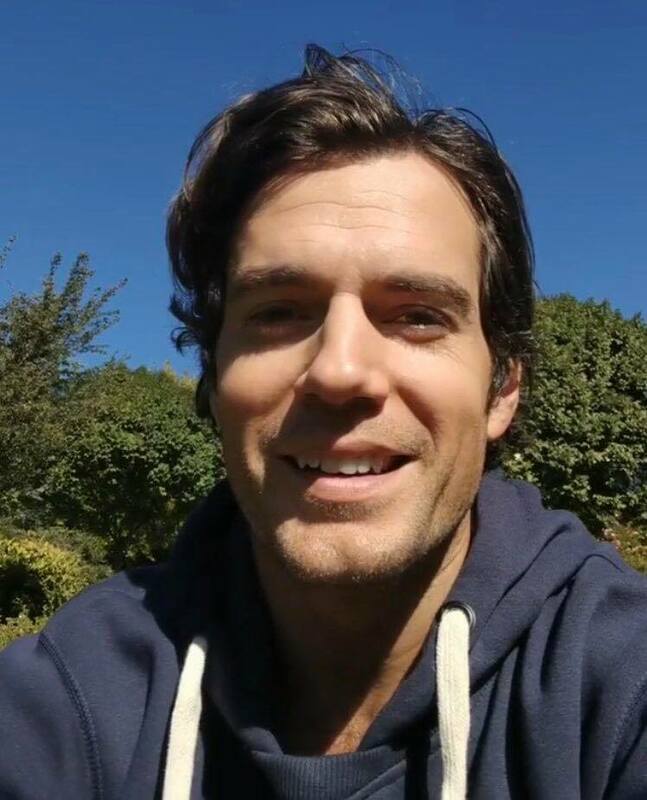 Henry, you and Kal take care of each other and enjoy life! Speaking of seeing more of Henry, just think we get to see him in a SERIES, in Witcher. I hope this series will have many episodes. Nicely said Nicole! I agree these stories don't make me and many others feel good. I hope he's still superman, as I think he's perfect in the role. What bothers me most! is Ben has said in not so many words that he wants out!. The flash movie is being pushed back God knows how many times, Ray hasn't been considered for a solo film. Jason has Aquaman out in December and that looks awesome. Gal is making WW2, while your number one supporter Henry has shown so much support to his cast and crew. He's all about DC and playing Superman the only one who is can really relate to his fans. Yet WB are done with him? that's so heart-breaking. I mean what's Dany saying? I wish I could buy the studio i'd make DC strong again. Not bashing but where is the support from Henry's DC family? Gal & Jason both active on social could just show a little of their support. Zack could put out a little post. Just anything.